The task was to make a beautiful, pleasant logo, which is understandable in its form. It is made in the form of cheerful taxi on the background of the city, and the final track ring with wings, which make the contours of the image symmetrical. This is important when you using the logo on the hood, trunk and rear glass — this image does not violate symmetry. 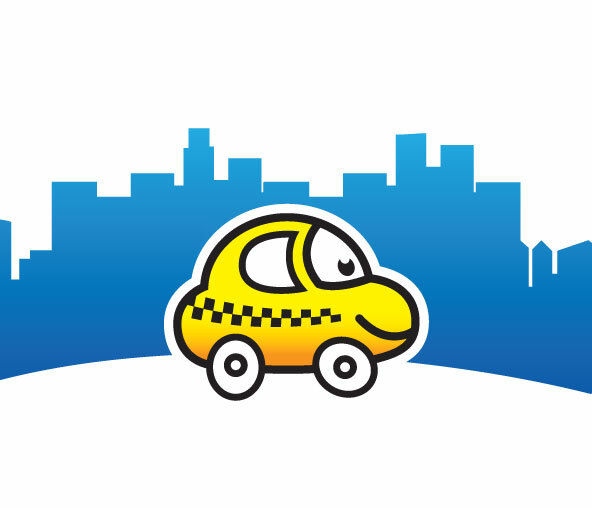 White contour outline gives the opportunity to use the logo on any background without losing aesthetic appeal, and overall color a nice coloring distinguishes the logo from the mass of other taxi services.